Forming a ORL GIS working group with the private sector companies in the AHC, its focus, objectives and expansion, governance, GIS industry impacts, and training opportunities. The SISE plans to form a GIS working group to focus on using the ORL standard within operational scenarios. This video captures the SISE working group discussion on this initiate. Members of the SISE working group have been working with the All Hazards Consortium and the Pennsylvania Emergency Management Agency to develop a state focused working group, run by the private sector, to develop operational use cases and solutions in close collaboration with government at the state and local levels in the Commonwealth of Pennsylvania. 3) Developing new policy to address the restriction of movement of "empty trailers" during disasters which cause 90% of the large scale traffic delays due to underweight trucks/trailers getting stuck on certain major routes. 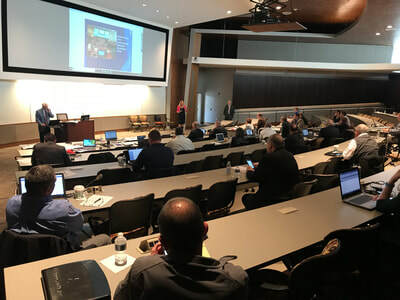 The workshop brought together state emergency management, highway patrol, transportation, and several other state agencies along with representatives from electric, communications, fuel, food, medical, retail, water, and other sectors to work together on producing short term, midterm, and long-term solutions to operational issues together. The AHC and its SISE working group hosted its 6th quarterly workshop recently in Washington, DC. 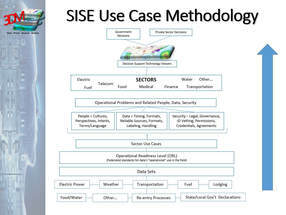 The SISE working group has developed a guide on how they produce innovative solutions thru integrated planning and the development of operational "use cases" that organize people and information into small groups to product short-. mid-, and long-term solutions that align with real world issues in the private sector. The Sustainment Committee was formed to begin addressing the framework and long-term operating budget for the SISE. The objective of this committee was to develop a long-term plan and budget to sustain the SISE working group over a six-year period. A committee was formed to begin mapping out the components of a plan. Tis committee is comprised of public and private sector representatives who have experience and wisdom in establishing and operating large scale programs. Currently, the Sustainment Committee is developing the overall long-term budget that is estimated for completion summer 2018. 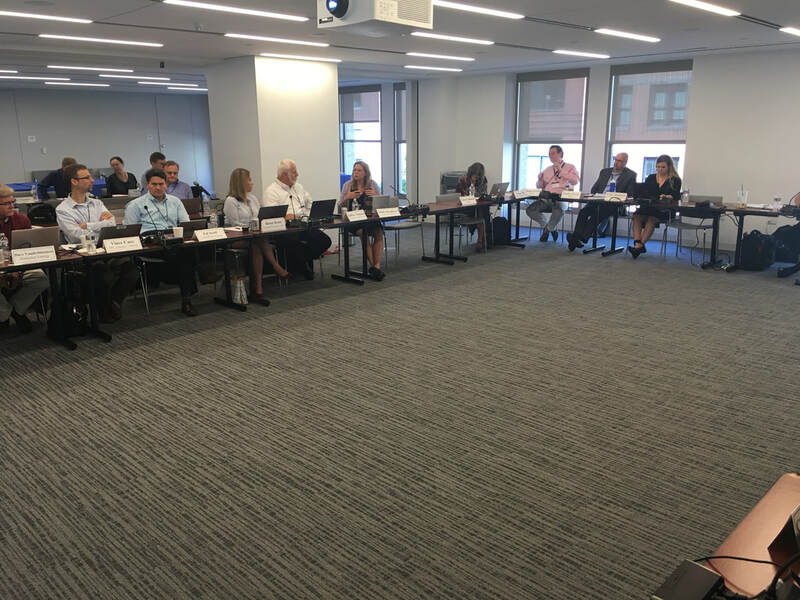 This sub-committee was formed to begin the development of a federated standard to increase decision maker confidence and data sets and data providers. 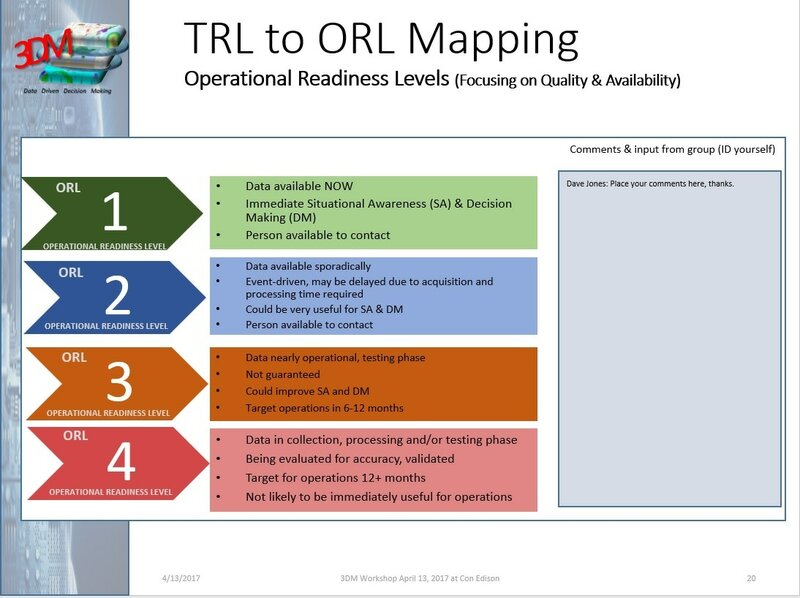 Operational Readiness Level (ORL) standards that addressed the technical and operational requirements for an evaluation process. The objective of this committee was to develop the standard, apply it to existing data sets, and develop a process that could incorporate and rank new data sets. 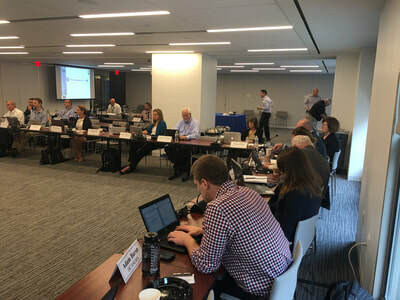 Working with the Earth Science Information Partners (ESIP) Federation, the SISE working group help multiple meetings to discuss the processes and procedures needed to develop an effective method to quickly rank data sets from 1 to 4, 1 being the most reliable. More information on this committee and it results are found in the previous report for Deliverable #4. This subcommittee is focused on developing the initial framework and processes around they capture and organization of use case information. Their first task was to develop a template that could be used across all sectors in order to capture the initial information required to build a simple use case. This group discussed several approaches to the use case template. One approach was developed a simple, front end document or web form that would allow operations or executive professionals to quickly enter the initial use case information and processed by the work group for future discussion. A second approach was a far more detailed template that would help researchers capture more granular use case information in order to better inform their research and data capture efforts. In the end, a process was developed that included both a simple front end form and a more complex backend form to support the more detailed requirements needed by researchers to capture the appropriate information. Additionally, a phone interview was introduced into the process that will allow committee members to discuss with use case applicants the details behind the use case, the impacts, the possible approaches, the people, the information, and the other related data that would be needed in order to determine if it is a simple or complex use case. A draft use case was developed, discussed, and approved and is now on line at the working groups website. This committee was formed to develop a framework and process to identify, vette, and engage new data providers, solution providers, and information partners to participate in the SISE. The first task for this committee was to develop a Draft Data Provider Agreement that would serve as the legal foundation to work with data providers for this SISE. 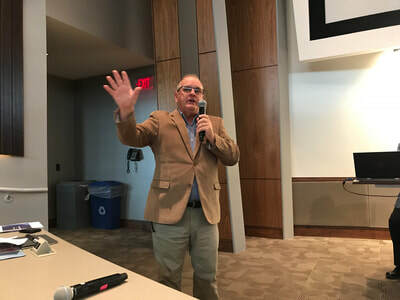 The group evaluated existing frame works in agreements already in place, and leveraged pieces from several agreements to complete a draft agreement. The draft agreement was discussed and edits were made. They agreement will provide The legal framework needed by the working group as well as a template that can’t be modified to accommodate different types of data providers and data partners. Customizing the template can be done through agreement terms and conditions and/or attachments or appendix items. Developing this agreement will be an ongoing process and edits will be made based on the individual relationships established between the site working group, Consortium, and the data provider organizations. The committee was formed to develop a framework that improved communications between the private sector and state emergency management’s ‘Private Sector Liaisons” during disasters. During large regional disasters, states activate their private sector Liaisons and/or their Business Emergency Operations Center (BEOC) programs within their Emergency Operation Centers (EOC). These liaisons are responsible to coordinate with the private sector multiple subjects during emergencies. These topics can include transportation, education, fuel, power, weather, declarations and waivers, health, and a variety of other topics that face a state during a disaster. Many times, the private sector is not aware of these positions or their functions. Many states don’t have these positions and most states don’t always communicate these capabilities consistently. Based on experience, when the private sector coordinates directly with state liaisons, communication and coordination is dramatically enhanced and results can be realized much faster on any common disaster related issues. 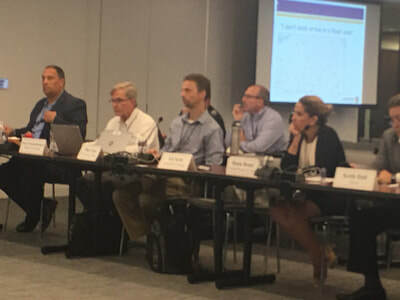 Expanding the SISE working group and its Data Driven Decision Making (3DM) initiatives is critical to the ongoing sustainability of the SISE and its capabilities long-term. Under the leadership of the private sector’s Multi-State Fleet Response Working Group, the private and public sectors have been developing operational solutions to address key issues during disaster response. The Regional Common Operating Picture (RCOP) dashboard solution, developed by NASA and their partner StormCenter Communications, was developed to help increase situational awareness and operational coordination between multiple states and the electric sector’s mutual assistance fleet movements during large scale disasters. Other solutions and data sets were developed to help share sensitive information from the private sector with states for disaster management purposes. To protect this information, the SISE (Sensitive Information Sharing Environment) was developed as a framework to house the GeoCollaborate Dashboard along with many other products and information provided by the private sector. Once the SISE was created, the private sector began to trust the SISE more and began addressing other operational issues together with states. It was during this time that the Data Driven Decision Making (3DM) initiative was created to describe how data would be vetted and grouped into simple apps and tools for decision makers to quickly access and make their decisions with “30 seconds”. 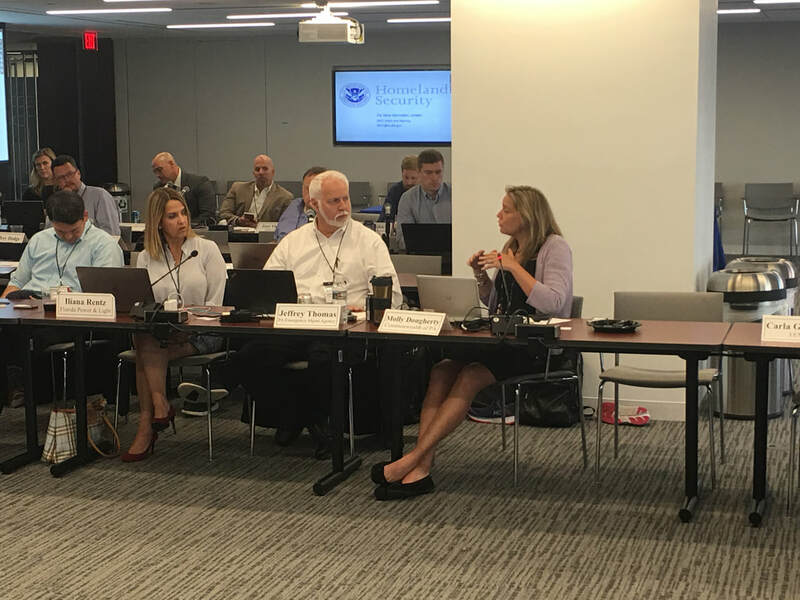 Working with DHS NPPD Office of Infrastructure Protection, the AHC has been working with the private sector to continue to develop SISE and its capabilities. Sustaining the SISE and the 3DM initiative will require attracting more stakeholders across more sectors and states to develop use cases that can be used to organize people information to solve problems and disaster management, logistics, cybersecurity, and other important topics. Creating a sustainable business model and various “offers” that package to SISE, the GeoCollaborate dashboard, and dozens if not hundreds of other apps and training courses is predicated upon building a business model that the private sector will sustain over time. Expanding the SISE’s user base is an ongoing effort and will rely on several components including education, marketing and communications, systems integration, software, and most importantly people who will continue to build out the SISE’s trust framework and develop the use cases. The strategy behind expansion is the creation of subcommittees within the SISE working group in addition to creating partnerships with third party organizations who are also working on issues within the sectors they address. The approach to the SISE’s communication, education, and marketing will focus on a non-traditional method of using digital marketing through social media and peer-to-peer networking via on-line and off-line communities. This approach, although somewhat new to disaster management, has proven extremely effective across multiple other sectors including retail, finance, and cyber security. From the technical perspective, multiple systems will be integrated to provide an automated platform that will provide the outreach, education and training, present the offers, close the transactions, deliver the products, and provide customer service to an ongoing and growing need of users. The SISE working group formed a new sub-committee to integrate state private sector liaisons within state emergency operations centers (EOC) to enhance communications and coordination with regional/national state EOCs during regional, multi-state emergencies and disasters. This was an outcome of the 2018 FEMA NLE (National Level Exercise) that tested hurricane response coordination between the private sector and states. Founding states included Maryland, North Carolina, Pennsylvania and District of Columbia. Additional states will be added later in 2018. This committee will work with the private sector members of the Multi-State Fleet Response Working Group on specific initiatives with the private sector. The current approach to the SISE Data Provider Agreement will be to create a simple template agreement for data providers to use when working with the SISE. This agreement will also be used for solution providers, software developers, and third-party research and development groups. The template will utilize parts of the current agreements with Hughes Network Systems, ATRI, and Storm Center communications. Customization to the data providers agreement will be permitted in addendums to the core agreement. 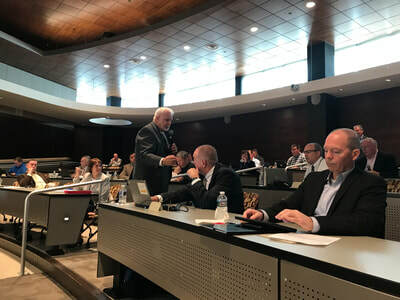 The SISE working group wants to have a core template agreement that could be used for any type of data provider arrangement and this agreement will meet those requirements. Kari Hicks, Chair of the SISE Working Group's ORL Sub-Committee, provides a presentation on the ORL model and how industry can use this in their operational decision making. 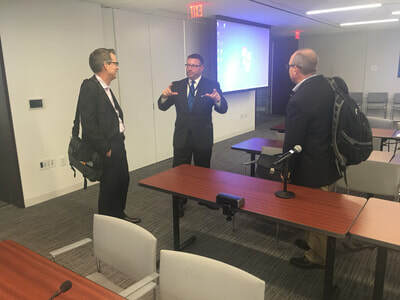 Members of the SISE working group briefed White House Office of Science and Technology Policy committee. 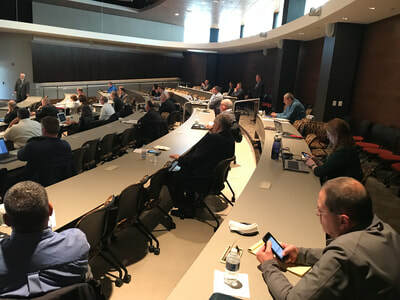 Members of the SISE working group were briefed by the CUSEC (Central United States Earthquake Consortium) leadership team on their information sharing efforts across multiple states in the central U.S. The SISE working group is planning a webinar on the topic of the ORL (Operational Readiness Level) model. The Federation of Earth Science Information Partner’s (ESIP Federation) Disaster Lifecycle Cluster in partnership with the private sector has been working over the last two years evolving criteria to apply to data sources used for decision making and situational awareness. 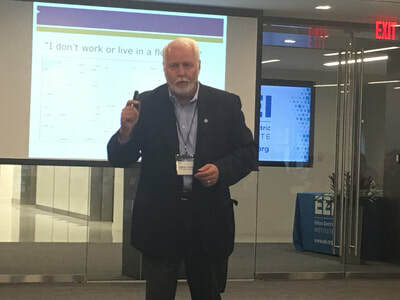 A new federated standard is being developed called the ORL (Operational Readiness Levels) standard is being developed to instantly add confidence to the decision-making environment when so many data sources are available. In many cases it is unknown where certain data sources come from and whether those sources are credible or not. Posting vetted data in a secure shared environment that will be made available to others as needed. The purpose of the April 5th Webinar is to provide insight into this new ORL (Operational Readiness Levels) standard to increase your confidence in data driven decision making. We need a good set of cross sector representative users to give us feedback on the overall ORL concept. We will present an overview of the ORL model and some examples for your review and comments. Representatives from all decision-making sectors ranging from food, fuel, utility, healthcare, including supply chain specialists, emergency management departments and administrators. Public and private sector officials supporting supply chain management requirements during normal and emergency operations. This would include state and federal departments of health, federal/state/city emergency management offices and related public and private transportation organizations and offices. Transportation system operators from highways, to ports, to air and rail. With the increasing amount of information in the form of ‘data’ and a ‘just in time’ approach for decision making and situational awareness during major disasters, sometimes questionable information gets into chain of command and can adversely impact emergency operations. The use of data from unknown sources increases vulnerability and can compromise safety. Understanding where data comes from and how often it is updated should be a key concern for any decision maker. Trusted Information means that data can drive decision making and accelerate planning, response, assessments and the movement of goods and services that save lives. We will be introducing Operational Readiness Levels (ORLs) to the SISE and its Daily Disaster Dashboard soon to begin building more confidence in your use of data. Jan 10 workshop was conducted in partnership with the ESIP Federation. 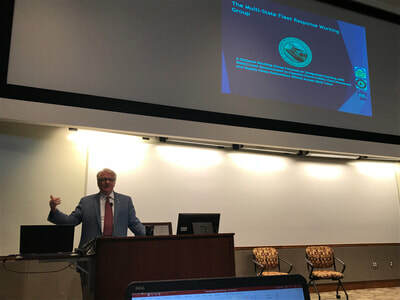 The SISE Working Group is working with DHS Science and Technology and the Johns Hopkins Applied Physics Lab on an initiative with the private sector. 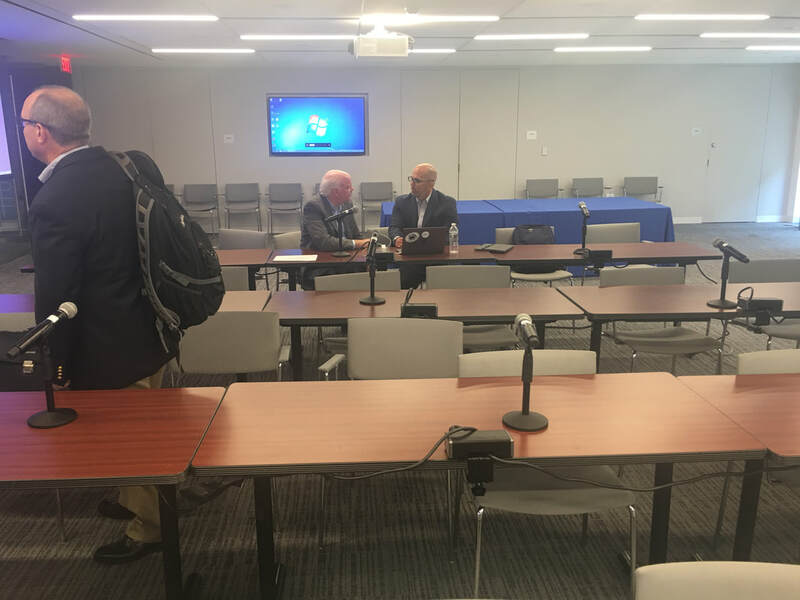 The AHC staff will be interviewing several domestic and international transportation sector companies (land, air and sea) along with several domestic energy/electric companies. The objective of this initial effort will be to identify some of the top areas of interest by sector in order to focus future federal R&D investments and efforts. The results of this engagement will be used to develop and update DHS’s Cyber Security research agenda. This agenda drives their research and development of the capabilities needed to protect cyberspace in a manner that incorporates both security and privacy. In cases where technologies do not exist or are immature, the program makes the necessary investments in applied research, advanced development, test and evaluation, and technology transition to ensure their availability to the Homeland Security Enterprise including the private sector.. The goal of the program is to develop solutions that address customer needs and have them be deployed and used operationally via successful technology transitions. Members of the SISE Working Group was extremely busy during the recent hurricanes that impacted Texas, Florida, Puerto Rico and the US Virgin Islands. 2) New "data provider" partnerships are being established to support information sharing in the areas of transportation and weather. 4) DHS Science and Technology has awarded a research contract to the AHC/SISE for initial private sector requirements development work in the electric and transportation sectors. The 4th SISE / 3DM Workshop was conducted on August 3, 2017 in Washington DC at Edison Electric Institute (EEI) from 10am to 2:30pm ET. The 3DM Working Group conducted its CATEX 2017 email based exercise on June 20, 2017. The working group, in coordination with the U.S. Department of Homeland Security, Office of Infrastructure Protection (DHS / IP), conducted a four (4)-hour drill that focused on awareness and application of FRWG Disaster Response Tools and Processes in support of regional electric power restoration efforts across the Central and Mid-Atlantic United States. This exercise was operational, not discussion-based. Participants attended the exercise virtually. Information sharing was limited to communication tools normally utilized for the given scenario. Evaluate participant’s functional knowledge of AHC / FRWG processes and tools. Stress test some key elements of the AHC / FRWG’s Regional Fleet Movement Coordination Initiative process and Sensitive Information Sharing Environment (SISE) information sharing tools to determine gaps. Discuss logistical challenges when initially aligning resource needs between utilities. Assess overall communications, operational process efficiency and tool(s) operational effectiveness. Identify strengths, areas for improvement and assign corrective actions. Education on the AHC / FRWG’s Fleet Movement Coordination with State’s process and tools. 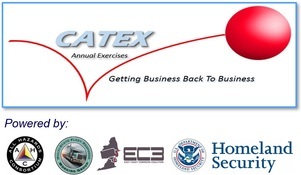 This exercise is the first of a series of CATEX virtual exercises designed to familiarize new participants (e.g. “Beginners”) to the basic issues, solutions, processes, terms, and apps that are used during regional power outages and supply chain disruptions. 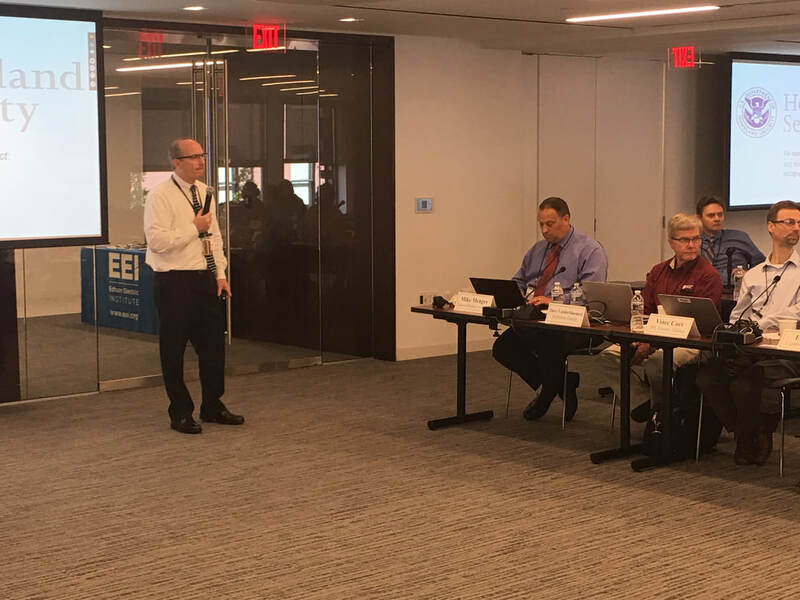 An “Intermediate” and “Advanced” level CATEX exercise is under development that will introduce new issues, solutions, processes, terms, and apps to support regional power outages and supply chain disruptions. The end goal is to create a national base of highly educated government and industry operations professionals who work together year round to develop solutions and information that expedites power and supply chain restoration after any type of disruption anywhere in the U.S. 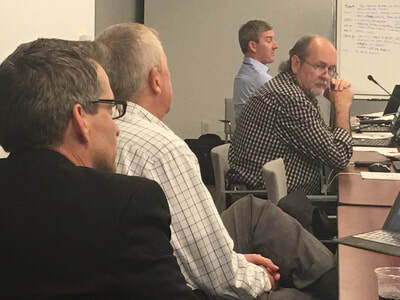 The 3DM Working Group conducted it April 13 Workshop. 30+ attendees came together in NYC at Con Edison to discuss and approve various products and priorities. 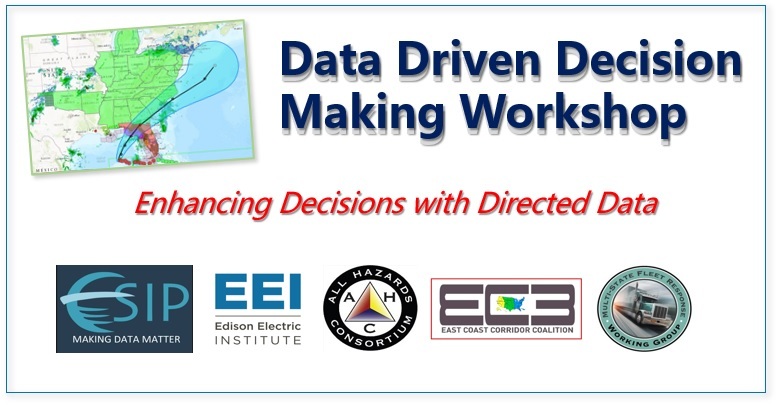 The All Hazards Consortium and its 3DM (Data Driven Decision Making) Use Case Advisory Committee are conducting a Workshop on Thursday, April 13, 2017 in New York, City at Con Edison of New York facilities. The All Hazards Consortium and its 3DM (Data Driven Decision Making) Use Case Advisory Committee are developing a framework for sensitive information sharing. The fundamental building block are sector focused use cases which organize people, data and security levels. These use cases make up the cells of the honeycomb architecture of the SISE (Sensitive Information Sharing Environment). Some cells (use cases) are only accessible by a specific sector. Other will be multi-sector while others are general use cases that will be accessible by everyone. This design increase security in multiple ways and no user will have access to all cells. 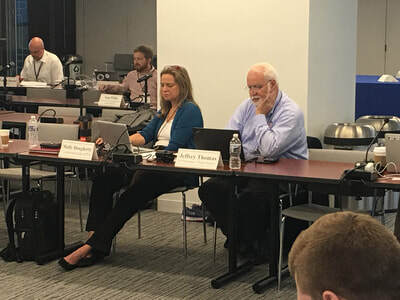 The All Hazards Consortium and its 3DM (Data Driven Decision Making) Use Case Advisory Committee conducted a webinar today to review the private sector's requirements for data driven decision making during four scenarios. 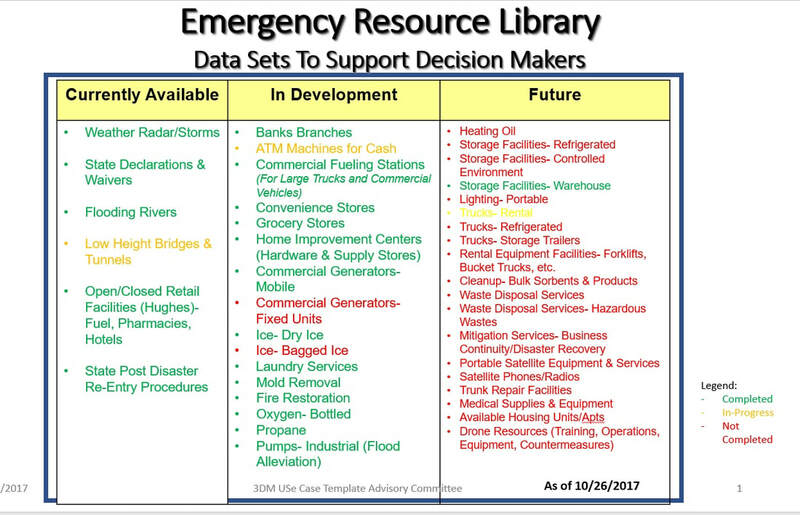 The electric, fuel, food, telecommunications, finance, retail, and transportation sectors have been developing a process and products to simply decision making during regional emergency and disasters. By better understanding the key decisions that need to be made in each sector during a certain phase of the emergency, data researchers and providers can find the "right" data and the 3DM Working Group can organize the data, the appropriate people needed to be involved and the security levels needed to share the information quickly via a specific solution (apps, data sets, operational guides, docs, websites, etc..) to support "30 second decision making" during regional storms, disaster, and accidents. The All Hazards Consortium and its 3DM (Data Driven Decision Making) initiative with Fleet Response Working Group Members are producing are producing operational information solutions (apps, data sets, operational guides, docs, websites, etc..) to solve real world operational emergency response problems during regional storms, disaster, and accidents. This pic above shows how several of the apps address specific operational issues quickly and enhance decision making with better, more focused and organized data. The All Hazards Consortium and its 3DM (Data Driven Decision Making) initiative with Fleet Response Working Group Members will be developing new data sets in 2017 as part of the 1Stopops App Store service. 1StopOps is a new service to be offered the private sector as part of a long-term sustainment strategy that incorporates membership, identity vetting, information sharing and ongoing development of partnerships, app developments, and emergency resources that help solve real world operational issues during emergencies with industry and government. 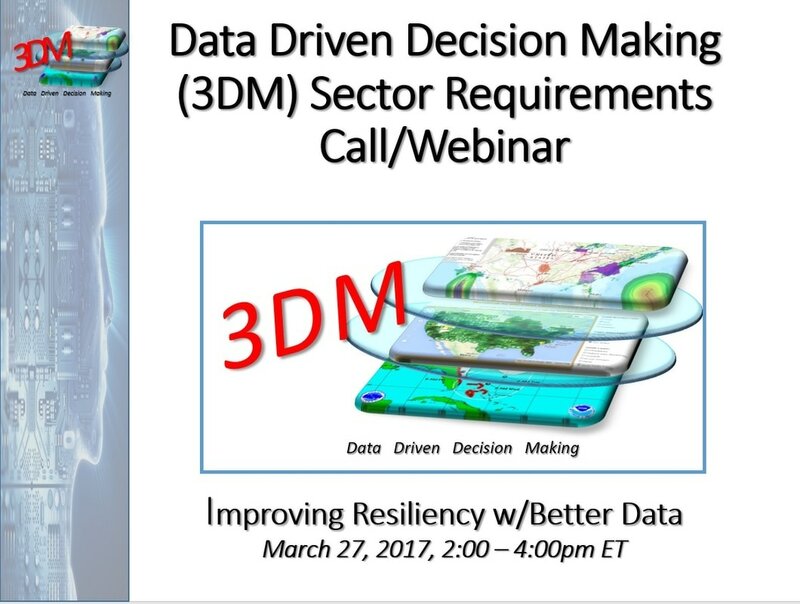 The 3DM initiative is part of this effort and will help organize data sets, data providers and data users into a functional framework that will organize information, aggregate multiple data sets and serve it up in apps that decision makers can quickly use in their decision process before, during and after a local, regional or national incident. 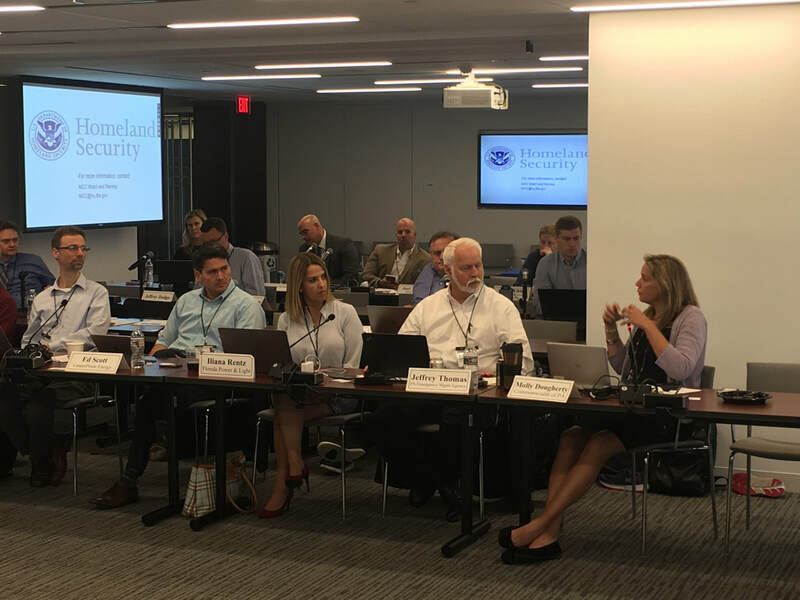 On January 26, 2017, 60 representatives from several federal agencies (NOAA, FEMA, DHS), the Earth Science Information Partners (ESIP) and DHS met with industry to discuss enhancing regional emergency response and business continuity decision processes with better, more organized data. Agreement was reached to form a Use Case Advisory Committee to organized data and data providers by Use Case and plan for the April meeting in NYC to demonstrate progress. 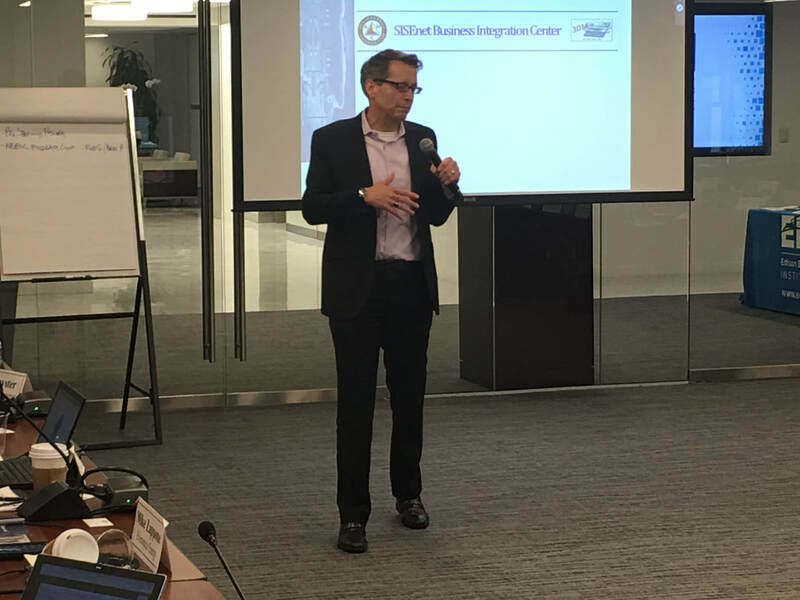 On January 5, 2017, representatives from several Fusion Centers and DHS met with industry to discuss enhancing sensitive operational information sharing during emergencies and sharing potential threat information on a day-to-day basis. The SISE Working Group is working on a new integrated (e.g. government and industry working tegether) initiative aimed at organizing federal and research data and resources in support of security/ disaster response related decision making for industry and state/local government. 3) Testing of 1StopOps Service - The testing and soft launch (to a limited user base) of a new service called 1StopOps to serve the private sector more effectively in their disaster planning and response efforts at the regional levels. The SISE Working Group is working with FEMA, DHS Infrastructure Protection, the states of Florida, Georgia, South Carolina, North Carolina and many other organizations in the post Matthew response and recovery efforts and related information sharing efforts to expedite critical infrastructure restoration in the communities on the East Coast. The SISE Working Group is heavily involved in the Hurricane Mathew response and information sharing efforts today. The SISE Working Group is preparing or an October 27, 2016 Workshop in Washington, DC which will focus on "operational" data driven decision making between state/local governments, federal agency data providers, and the electric, food, fuel, telecom, and finance sectors before, during and after a disaster that disrupts power for extended periods. Interview are currently underway with the SISE WG and representatives in the various sectors to develop the operational use cases to be discussed. Once the initial use cases are agreed to, the data partners within the federal agencies can then begin aligning their current (and future) data sets in support of increasing situational awareness, forming a local/regional/national common operating picture for each sector and merge them together in a secure manner to help expedite operational decision making processes in both industry and government. 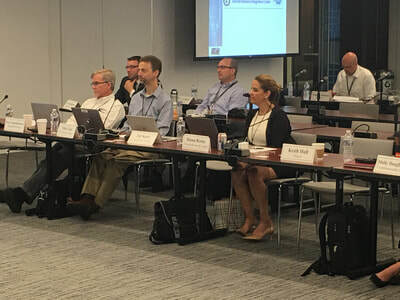 The Drill focused on awareness and application of FRWG Disaster Response Tools and Processes in support of regional electric power restoration efforts across the Eastern United States and Canada. The SISE was load tested by 50+ people and provided valuable feedback on a number of issues and improvements. In the future, the SISE will serve as the entry point for vetted working group users and provide a mechanism for accessing and sharing information. The SISE Portal is now operational on a production platform. Final testing on the new site is being conducted now. It will be rolled out in phases over the next several months for operational testing under load. The SISE will tested under load during the upcoming CATEX 2016 exercise on August 10, 2016. The SISE will be sued to vette user identity and provide access to limited amounts of information. 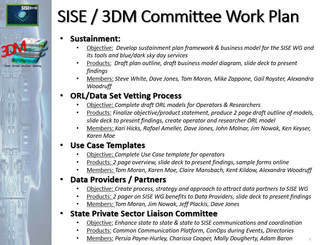 The SISE Working Group continues to shape the SISE content and business model. The SISE Portal and Dashboard is being moved out of the lab and into full operational mode this month. It will be used in the upcoming CATEX 2016 Functional Exercise on August 10, 2016 and tested under load by 75 participants. We want to introduce you all to Vince Chiarelli, Vice President – Customer Service, at Carillon Federal Services. Many o f you had a Cassidian PIV-I card issued by the AHC in 2015 as part of the PIV-I Pilot Project. Cassidian was purchased by Carillon recently who is now offering to renew our PIV-I cards at no cost. Your current cards have expired. Many of you will be attending the EC3/FRWG Mid-Year Meeting on Monday July 25 in Baltimore. Carillon is offering to upgrade your cards at these meetings. Below is an email from Vince describing the process to get your PIV-I Cards updated. Please contact Vince with any questions. My name is Vince Chiarelli, Vice President – Customer Service, at Carillon Federal Services. You are receiving this email because of the interest given by the All Hazards Consortium to exchange the old Cassidian Credential in favor of a fully cross-certified to the Federal Bridge Carillon Credential for all of their members. Thanks to the discussions and efforts undertaken between Carillon and Tom Moran and John Molnar of the All Hazards Consortium (in cc), we would like to take the opportunity to have you re-enrolled and issued your new PIV-I card by our Trusted Agents at the AHC Meeting scheduled to take place in at Skyline Technical Solutions in Glen Burnie, MD (next to BWI Airport) on Monday, July 25th. You will shortly receive an email notification from our provisioning system advising you that you have been selected to receive a PIV-I card from Carillon Federal Services. This email will contain your Digital Credential Request form, which you will need to print out and bring with you for your enrollment meeting. You will also need 2 valid/unexpired government issued IDs (one MUST contain a recent photo of you) to get enrolled for your new Carillon Issued card. Also please bring your old Cassidian card for proper disposal by our Trusted Agents at the time of your meeting. The email you will receive will also include a link to schedule yourself for your appointment on July 25th. For your convenience, we have added the meeting location to our scheduling system, so that all AHC members may schedule themselves at this location for their time of enrollment. Should the July 25th date not be convenient for you, our office in Vienna, VA (less than 40 minutes’ drive from Washington, D.C.) is ready to accommodate you any other day, 8:30 AM to 4:30PM, Monday to Friday. As a point of note: You will have 120 days to schedule your face-to-face meeting with our Agent for you to get your card from the moment you receive your notification email. The choice is yours. Should you have any questions or concerns regarding this initiative, please do not hesitate to contact me directly. SISE WG has developed a spreadsheet to track the present and future datasets being researched and shared within the SISE and it Use Cases. New SISE Powerpoint deck produced for electric sector national exercise in May 2016. 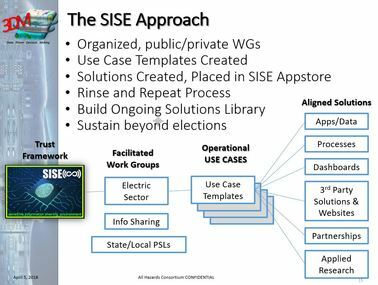 On May 18, 2016 at 10:00am ET, the SISE Working Group will host a webinar to educate stakeholders to the current status of the SISE and its online vetting process, its technology, its collaboration capabilities, and its current and future applications. Off Line tool now called FRWG DAILY DISASTER DASHBOARD. SISE WG moving calls to bi-monthly starting in 2 weeks. 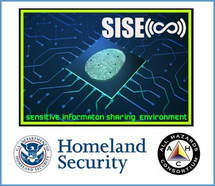 The SISE is a "trust framework" for information sharing operated by the All Hazards Consortium and its partners from government and industry for the purpose of sharing sensitive operational information before, during and after storms, disasters and disruptions. The SISE integrates legal, policy, process and technology together into a single platform that forms the trust framework. The SISE is managed by the private sector and shared with government for collaboration and decision making needs. The SISE's combines Cyber identity vetting processes with a new one-of-a-kind geo-collaborative technology and unique data sets to create a visual common operating picture to support operational decision makers at the local, regional or national level. The SISE allows for publicly available data and private sensitive data to be layered together into a single view that gets all stakeholders "visually" on the same page at the same time. The SISE provides a framework for multiple organizations with multiple systems and varying data formats to share data in a simple, low cost and safe way without the need to replace existing systems, policies, processes and people. In development for the past 2 years, the SISE is maturing and has been operational since 2015 in the electric sector with plans to expand to other sectors and states in the future. The FRWG / Geocollaborate enhancements that have been made to the FRWG’s Disaster Dashboard/Geocollaborate tool based on the SISE Working Group feedback as part of the NOAA Test Bed project. What Does This Mean to SISE Members? 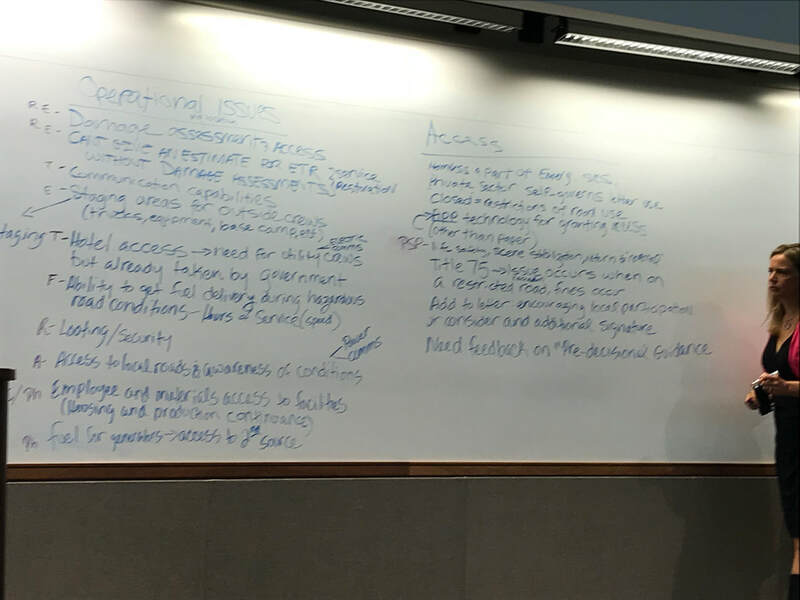 1) The SISE Working Group is now developing a Use Case development process and template to begin gather input from group members on potential use cases in the electric, food, fuel, telecom, finance and other participating sectors. 2) Many have asked for the PowerPoint slides on the NOAA/StormCenter Test-bed projects. Download file on right. 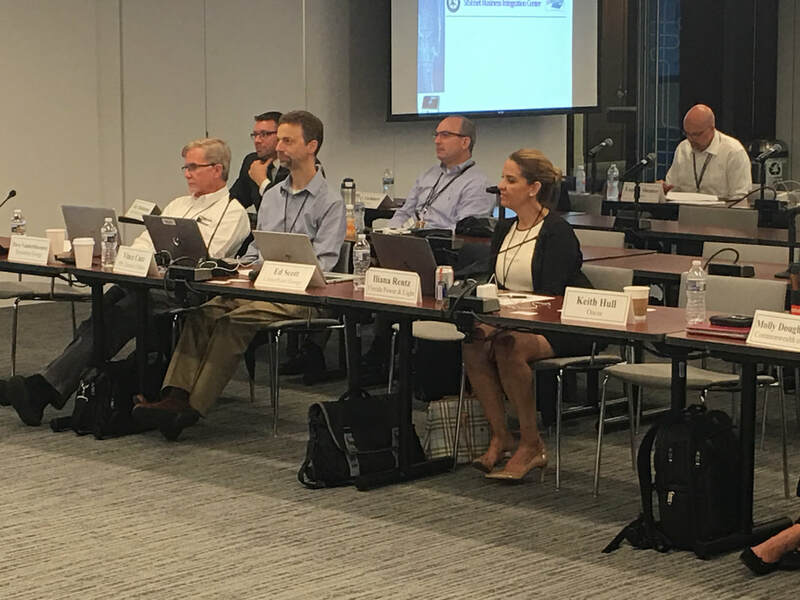 The SISE Working Group is working with NOAA's National Weather Service and NASA on a tested project to develop new data sets for WG members to use to enhance decision making during regional disasters and disruptions. NOAA NWS will work with SISE WG members to build simple uses cases that support decisions that need to be made before, during and after a regional multi-state storm, disaster or disruption occurs. This has already been operationalized by the AHC's Fleet Response Working Group members into a Disaster Dashboard capability now being expanded to additional sectors and use cases. provide the technical platform to merge multiple, disparate data sources into visual decision dashboards to support faster decision making for sector specific use cases. Developed by public and private sector stakeholders from 5 states and 8 companies. Developing online initial SISE Identity Vetting process for future working group members. Provides state, regional or national common "operating picture"
The “Secure Information Sharing Pilot Project” is testing the sharing of sensitive operational information between lifeline private sectors (food/fuel/electric) with participating States initially utilizing a trusted process that validates user identity. Simply put, providers of sensitive information post the information to our SISE (Secure Information Sharing Environment), then entities that need to view the information access it from the SISE. The trusted process involves issuing high level of identity assurance credentials coupled with access management technology. This ensures that ONLY trusted individuals can access sensitive information. The SISP is flexible so each provider of sensitive information can set up access rules specific to their sensitive information i.e. it can be personalized to meet the access needs of each data provider. TSCP has built and configured the SISE; and combined with the Working Group deliverables, these will be tested in the April 1st Pilot. The Pilot is the major deliverable for the contract. The 4/1 Pilot will consist of 25+ reps from Utilities and State and Local Govt. They will bring both a high and low level of assurance credential - PIV-I cards and userid/password. We will have pilot participants log in using their high and low credentials and see that they can ONLY access sensitive information with their high level credential and if they are members of the Fleet Response Working Group. If not, they can't see the information. The Pilot will be held in the PEPCO building Washington DC and will have a number of DHS S&T management and others present as observers.